My one arrived, battery health 100%, but like I said, it’s a Japanese model. Do these phones have a new battery? Ignore the crazy RRP but usually hovers around the £25 mark for a very decent case that offers excellent protection for your child’s (or your own) phone. These are great. Worth the investment. Paid £275.99. Arrived in pristine condition - well impressed. The price has risen £20 overnight. Right I just looked at the phone,it’s basically brand new with no signs or scratches. I’m still setting it up but so far seems a great phone for the price. 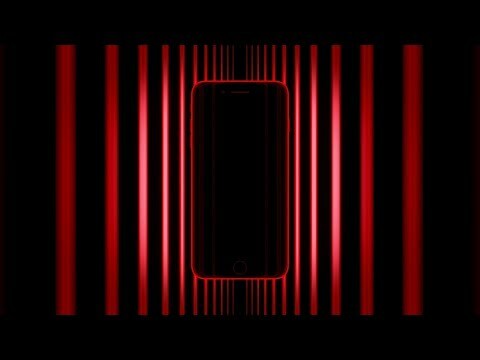 there is huge difference in performance between 8 plus and 7 plus. Quidco gives you £50 towards preowned phones. Great deal if you get the Quidco as well. There are conditions that you have to keep 2 months of Gifgaff active to get the cashback, make sure to add £5 for atleast 2 months. I got £5 at the time of order and £50 after the second month. I’ve had the SE for years. It WAS known to have good battery on iOS 10. It’s been awful on 11 and 12. What do you mean ‘wrong’? The SE has known to have a good battery as a result of its smaller and lower resolution display. The X outlasts the 8 by a mile - I’ve had both, the 8 was barely better than the 7 and 6 before it. Wrong. SE was only great on iOS 10. iPhone 8 has better battery life than the ten apparently. Actually... the one in the foreground is an 8 and the background is an 8 Plus so you’re both right, in a way (lol) But the SE was known for outstanding battery life and the 8 was never great;you’d need an 8 Plus or XR to beat it. brand new 64gb unlocked phone with 1yr guarantee. lowest price I've found and been looking for a while. enter code for £5 off which cancels out delivery fee. Glad it helped you out man! Why is this cold?? I was just about to buy from the Apple store for £599!! Great find Mr. Jeeves. Have some heat. (lol) (lol) (lol) Yep I’ve already been beheaded. It’s a moneysavingexpert deal. Your gonna get hung, drawn n quartered for this. I posted similar yesterday and it went -200 degrees. 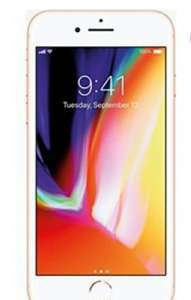 iPhone 8 30gb data at £33 month. The price also includes 30gb data per month. As a fair price of £19 a month for the data it leaves £14 a month for the phone. £336 for an iPhone 8 . Probably all Apple haters but this looks like a good deal to me.... a 30GB sim only deal would be around £19 a month, the handset costs around £600 divide that by 24 and thats £25 a month so that's £44 a month total. This deal saves £264 over the 2 year contract. Never miss a 'iPhone 8' deal again! Skewed by the fact that those demographics will have phone given to them by employers. Well done you. Did you get an adult to help you with all the thinking? Rhetorical question, it's obvious one did. Ask the adult to read the rest of my posts to you. Me too I questioned the extra data and they say they just give it away. I dont ever use more than 5gig a month haha its useless to me. Great deal. Does anyone know if this new or refurb handset ? I received mine too. There was a delay but the updates were good. It all had to be processed then approved by Vodafone for each new connection. I got mine 2 weeks later. For some reason I got an extra 10 Gig bonus. I pay £37 pm month for my Iphone Xs and get 90 Gig a month. Best deal I've ever had. Don’t build your hopes up on getting a good one we took the risk after seeing the comments on other threads and bought two 7 and an 8 and what we got was shocking. One of the 7 was an exdisplay and had a mark where the security tag had been across the back and full of scratches, other two were just as bad and they both had battery of 60% even the 8. The worst thing though was the return process it took them 16 days to refund on two of them and I needed to chase and chase to get it. 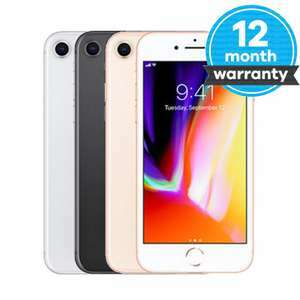 (Grade A) SIM Free Apple iPhone 8 64GB - Gold £392 @ Argos eBay with 12 month warranty. Seems to have sold out with 202 units sold. Always a chance they might get a few more in. people are voting cold for some reason. No good for you but if anyone gets one check the Apple warranty status if there are any issues Apple will give you a replacement they are supposed to be refurbished ones but are like new. Just signed up to this deal ....cheapest i found around and been looking for the past few weeks!! I’ve been looking for a good deal on iPhone 8 as well. The cheapest I could find is on mobiles.co.uk on O2 at £23/month and £190 upfront, with only 3 GB data (£742 over 2 years).This one looks better. Anyone know if student/nhs discounts would apply to this? Does anyone know if these phones supplied are new or refurbished? Or as your wife say, 4 minutes would be better than 40 seconds. Not everything needs to be rushed. Slower can be better and more sustainable. I think this is quite a good deal. I bought this phone from Argos on eBay for the same price last June though. I would have thought that the price would have come down a little given it’s 7 months later. not really, £19 for the USB power adaptor (£29 for the folding pins version) and £29 for genuine Apple earbuds with the lighting connection, prices direct from Apple to guarantee genuine items. Yes I know everyone probably has old ones lying in the drawer but you should value whats missing and their respective cost into the deal. Still need the lightning to headphone jack converter if jot using BT headphones. If going fully OEM on accessories, then £50 isn’t a bad shout. Correct .. The drop in sales in China is hurting them .. Meanwhile Huawei phones are selling big Apples pricing structure is having a major impact with contracts stretching 3 years to bring the monthly cost down . Black Friday saw price drops and contract deals and they shifted loads . £1200 for a phone or £70+ a month is lunacy . I didn’t say ‘they’ were struggling, but they were struggling to sell iPhones, which is why they have cut production by 10% twice in 2 months. They are doing well on revenue, as you say, but it is from ’other’ streams. The problem is, is that 2/3 of their revenue comes from the sale of iPhones and so it is a bit of an issue! They’re not really struggling. They have had “only” their second best quarter in history and that’s why their stocks are dropping. Some people are too quick to judge a company because of headlines from the likes of Forbes. What do you think gets more clicks:” apples gets only second best quarter” or “apple is doomed”? It’s not only apple affected by this saturation of the smartphone market though! Pretty much all US tech stock is being hit by this but like I said before the world “Apple” in a headline makes money whether true or not. And other companies would literally KILL to have the profits that apple does on their products. Chinese phone manufacturers sell more phones than apple but at a Lower profit. Xiamoi, for example, has phones that are ridiculously cheap but that’s because they BARELY make any profit on them if any. There werw only 3 available at that price since december.. Released in September 2017, the iPhone 8 succeeds the iPhone 7 and is complemented by both the iPhone 8 Plus and the iPhone X. A big step forward in some respects relative to the iPhone 7, it's the most advanced standard-grade smartphone Apple has released with better visuals, a new case design and innovations in the processing and charging departments too. This buyer's guide will introduce the iPhone 8 and help phone owners decide whether to upgrade. It will have a look at the iPhone X and try to help buyers find the best way to make their purchase in a mobile phone market that doesn't always make that an easy task. iPhones have dominated the smartphone market since the first model was held up to the tech world by Steve Jobs in 2007. In fact, the first generation of iPhones pretty much invented the smartphone format that has become so familiar and indispensable to people all across the world. 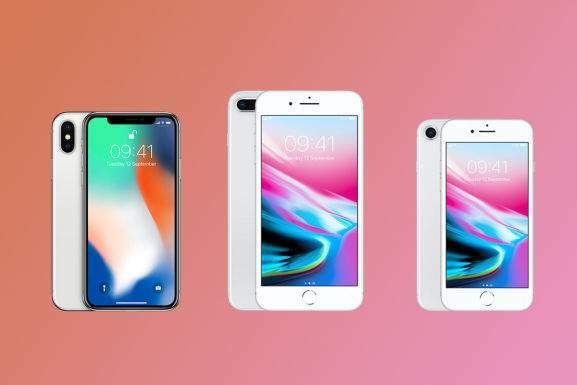 Since 2007, we've seen 11th generations of iPhone arrive, and at every stage the features they include, the power they possess and the elegance of their design have been refined, leading the pack in the global smartphone scene. In 2008, 3G network support arrived. 2009 saw video recording included for the very first time, and Siri made her debut as well. 2010's iPhone 4 introduced the front-facing camera and the ultra-sharp Retina display. Lightning connectors came along with the iPhone 5, while the 5s introduced Touch ID. The iPhone 6s expanded the screen to 5.5-inches, and is only exceeded by the iPhone X, which has moved things forward on every front. The iPhone 8 fits into this steady narrative of improvement and innovation, and it's the latest everyday smartphone from the Apple stable. Let's have a look at what makes it special, and whether now is the time to give it a try. The iPhone 8 is pretty much a refinement of the iPhone 7, which proved a big hit in 2016/2017 and brings tweaks in almost every department. The exterior of the new iPhone has been redesigned, with an “aerospace grade” glass-based format which is probably the first thing seasoned iPhone fans will notice. But there are more fundamental additions too. For instance, the iPhone 8 allows you to charge your phone wirelessly instead of using the Lightning to USB cable (although that's included as well). The Retina display has been revisited, and True Tone technology has been added, making the contrasts and colours you'll see much richer by comparison with the iPhone 7. It also automatically calibrates the colour settings to match ambient conditions, making it easier to read in bright or dim environments. Apple have had another look at the 12MP camera, too, enlarging the sensor and replacing the colour filter, which should allow users to take more beautiful selfies and landscape images. There's also better optical stabilisation, which is a big help for video makers. Another key visual innovation that's been making waves is the Portrait Mode. Specifically designed with selfies and portraits in mind, it artfully blurs backgrounds and sharpens foregrounds, heightening the contrast and delivering remarkable pictures. And with enhanced zooms thanks to the telephoto camera, the iPhone 8's image-making capabilities are significantly improved from the previous generation. As for the engine room, Apple have made the customary enhancements, using a new A11 Bionic chip with 4 cores which they claim outperforms the previous A10 Fusion by 70%. At the same time, reviewers have found that the battery life is just as good as the iPhone 7, despite the performance improvements -- another impressive Apple accomplishment. The A11 Bionic has also been optimised for graphics processing systems like augmented reality, which Apple are starting to get into in a big way. When hooked up to VR sets, the iPhone 8 should offer some truly immersive gaming and exploration experiences. And it's also well designed for general gaming, due to its beefed-up graphics chip. 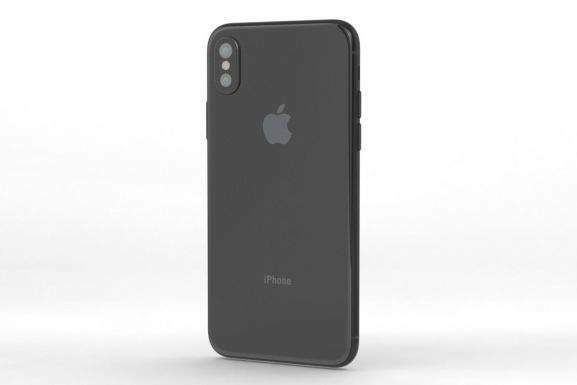 Convenience is another area where the iPhone 8 scores highly, with its wireless charging option. Now, owners of multiple Apple devices can just place them on charging pads without worrying about plugs or cables, and you can expect to find charging stations in stations, airports, and other spaces all over the world. Finally, the operating system has been tweaked, as it usually is, making iOS 11 more secure and Siri more helpful than ever. It all syncs up smoothly with Apple Music, allowing users to build collections without cramming their disk with data, and the games library is bigger than ever as well, with more ambitious smartphone titles appearing on a weekly basis. Naturally, smartphone fans will want to know about every last detail that Apple have packed into the iPhone 8, so here's a quick run down of the phone's technical specifications for reference. iPhone 8 64GB – Much cheaper (in most cases) than the 256GB model, the 64GB iPhone 8 will come with enough space for most basic users. If you intend to use your phone for essential apps like Facebook or maps, and you aren't going to stuff it full to overflowing with videos, photos, or music tracks, the cheaper version will be more than adequate. Just for reference, 64GB can store about 1,000 songs (although with Apple Music around, there's not necessarily much point in doing so), and 2 hours of 4K video. Two hours is a lot if you only plan to shoot 20 second moments from holidays or nights out, but it's not so much for professionals or true video enthusiasts. However, as we noted before, the 64GB model is fine for the majority of iPhone users. iPhone 8 256GB – The 256GB offers 192GB more room, and that's about it. Do you need the extra disk space, or not? That's the important question. If you know that you'll be storing long videos, then yes, 256GB will feel like a hell of a lot more than 64GB. The same applies to people who accumulate huge app libraries and to gamers who want a wide selection of titles on their phone at any one time. Space relative. It's up to you to know how much you'll need, but most people can get a pretty good idea by thinking about their habits and past phone usage. One thing that's worth considering: If you go for 256GB, you'll be tempted to use it, which is great for gamers and app fans, but it also comes with potentially large data bills. So if you're balancing the need for a cutting-edge phone with the desire to cut costs, then the 64GB model could help to discipline your data consumption. What is the Best Way to Purchase an iPhone 8? Buying from Apple – If you head over to Apple's website, you'll find all of the information you could ever need about the iPhone 8 along with an easy-to-use ordering process. You can pick your colour (from silver, gold or space gray) and your disk space option (as well as whether to go for the iPhone 8 Plus version or not, but that's a different question). You can choose to buy the phone outright for a fixed price or stagger the payments over a number of months (which adds usually more to the final bill but can be more convenient for some budgets). At the same time, you can add exclusive extras. For example, there's the Apple Upgrade Programme, which adds a couple of pounds to your monthly bill, but allows you to upgrade automatically to the latest iPhone when it is launched. All purchasers can also opt to join AppleCare+, which provides tech support and a limited number of screen replacements, again at a slight premium. These are options that you won't get by buying from third parties, so if you are a serious Apple fan, this is worth considering. Buying from third parties – Another option is to purchase from a major UK electronics retailer like Argos, John Lewis, or Currys. When you do so, the initial price should be roughly the same as the one listed by Apple, but there may be discounts. All of them can be found at HotUKDeals, so be sure to check the iPhone 8 listings before finalising any purchase. The only snag with buying in this way is that you'll only get the handset. The network connection will have to be sourced from a mobile phone company like Three, or Sky and if you get this bit wrong, you can end up spending much more than you need to. There's a whole science to finding the best SIM deals, but to put it briefly: the cheapest method is to go for a SIM only deal with the kind of minutes/data options that suit your needs. Purchasing via a mobile phone network – The final iPhone 8 buying option is probably the most convenient because you'll get the phone and network connection all bundled up together. However, it's also the option that comes with the most potential extra costs. When you buy with a company like Sky, you'll pay an upfront fee, then monthly payments that cover your contract and the cost of the phone. These can get pretty complex, fooling buyers into thinking that they are getting a great deal, when in fact the eventual costs rack up. Often, companies will front-load their deals to look great for the first few months, before becoming more expensive over time – and with locked phones it's very tough to escape a bad deal. That doesn't mean you should avoid UK mobile companies. As we mentioned above, that's not really an option. But it does mean to be careful when selecting a phone and contract deal. Do the maths and check the HotUKDeals listings and find one where the total cost is comparable to the cost of buying an iPhone and a SIM only deal. In some cases, you can really cash in. But in others, inexperienced buyers can find themselves out of pocket, so be vigilant. How Does the iPhone 8 Stack Up Against the iPhone 8 Plus or the iPhone X? Another thing to think about it whether you are dead set on the iPhone 8, or if you actually yearn for the top-of-the-line iPhone X? The X was released around the same time as the iPhone 8 and is radically different. It's faster, has a larger screen, virtually no bezels, no home button, and a completely different screen and camera system which delivers crisper colours and a massively improved contrast ratio. It also uses a revolutionary Face ID security system that could be more secure than Touch ID, or at least that's what Apple say. But do you actually need to go for the premium option? Well, for one thing the iPhone 8 will suit people who are familiar with old-style iPhones. It's layout and navigation systems are identical to the iPhone 7, and some people will find the heavily swipe-oriented new iPhone X a little too revolutionary for their tastes. The iPhone 8 is also better for people with smaller hands. The screen is smaller and the unit is slightly easier to hold – which can make it more comfortable when using it for long periods. Naturally, the small screen has its drawbacks, but there's an ergonomic case for using the iPhone 8 instead of the X. The iPhone 8 is also pretty advanced, so it's not like you'll be buying an outdated model if you choose it. As we noted above, features like the A11 Bionic processor and wireless charging make the iPhone 8 a really impressive new model, not just a slightly updated iPhone 7. Sure, it's not an iPhone X, but it will still be fine for most people's needs. As for the iPhone 8 Plus, the same applies. It's slightly more powerful than the iPhone 8, has a larger screen (but weighs about 50g more), and comes with a dual lens camera system. It will deliver slightly snazzier snaps and selfies, which will appeal to some, but these features aren't deal breakers for most people. Still, if you can afford the slight price difference and really want a larger screen, the 8 Plus is well worth considering. Is it Worth Exchanging my iPhone 7 for an iPhone 8? Many people reading this will currently have an iPhone 7 in front of them and they'll be pondering whether to move up to an iPhone 8. If you're on the Upgrade Programme, this is a no-brainer. The iPhone 8 is superior in almost every respect, and you're paying a premium to be able to get it cheaply -- so why not go for it? If you're among the majority of us who aren't shelling out for free upgrades, the choice isn't so clear cut. The iPhone 7 came with a maximum of 128GB of storage, which is more than enough for most people (and most of us probably won't want to trade down to 64GB even if the phone is more advanced). The 7 was also smaller than the iPhone 8, if only by a fraction, and it also comes in more colours than its successor for some reason. So, if style's a big consideration, upgrading won't be that appealing. Having said that, wireless charging and the glass backed design of the iPhone 8 does have its charms, and the specifications turn up everything by a notch, from 4K video to gaming performance. At the end of the day, whether you decide to upgrade will come down to whether you can find great value deals. So have a browse around at HotUKDeals. If you're buying an iPhone 8, getting hold of the right accessories can make it easier to use and more durable. Most importantly, you'll want to sort out your charging situation. The charging cable that comes with the phone isn't the fastest on the market, and you can buy fast-charging USB cables which do the job much more quickly. It might also be a good idea to purchase a wireless charging pad to take advantage of your new phone's slick charging capabilities. Something like the Belkin Wireless Charging Pad will be ideal. 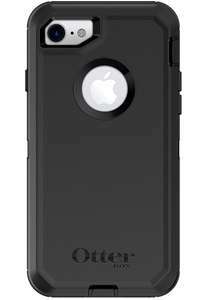 Most people like to shield the precious glass of their iPhone 8 with a protective case, as well, and there's no shortage of options. Check out what's on offer from brands like Nodus, Cygnett, Tech21, and Mujjo, all of which offer cases which are perfectly adapted for the layout of the phone, give great protection, and have artistic, cool designs. Other accessories are specific to different users. For instance, you might want to buy an attachment to hold your iPhone 8 as you drive (in which case ESR is the brand to go for), or you might want to dip into the world of VR headsets. There are also keyboards from manufacturers like Logitech which cater for business users, adding a little “phablet”-style functionality to your smartphone. Whatever accessories you choose to buy, the priority should be finding the best iPhone 8 deals around. And doing so isn't that hard. Firstly, do a little research and decide whether to go for the 64GB or 256GB model. Pick a colour, and then decide whether you want to purchase via the official Apple store or if you're happy to work through electronics retailers or mobile phone companies. Now, dive into the HotUKDeals iPhone 8 listings. 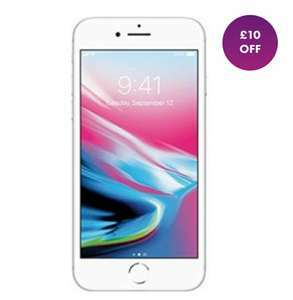 Merchants all across the UK will be offering discounted iPhone 8s, from Argos, John Lewis, Currys, and Carphone Warehouse, to Apple, Sky Mobile, Three, Vodafone, and EE. We've discussed some of the issues relating to contracts, SIMs and buying outright, so keep all of that in the back of your mind, and pick a deal that suits your personal needs and budget. When buying premium electronics items like the iPhone 8, it's also advisable to wait until major electronics sale events. For example, Black Friday in mid-November is a great time to shop, as electronics merchants slash their prices in anticipation of Christmas. Amazon Prime Day might also be a good time to look as well as the January Sales. If you hold out for a year, there may also be bargains around August, when Apple tend to roll-out newer models. But you can easily find bargains for the latest phone right now. Just search with HotUKDeals and you'll find no end of attractive combination deals and discount codes. Every generation, Apple seem to revolutionise mobile phones with their iPhone range, and the iPhone 8 is no exception. With its overhauled glass casing, souped-up processor, high-quality cameras and video capabilities, the iPhone 8 ups the ante for everyday smartphones, but it comes with a hefty price tag. However, phone buyers can find the latest devices at affordable prices at the iPhone 8 HotUKDeals listings.